December 1st dawned bright and clear...and warm. 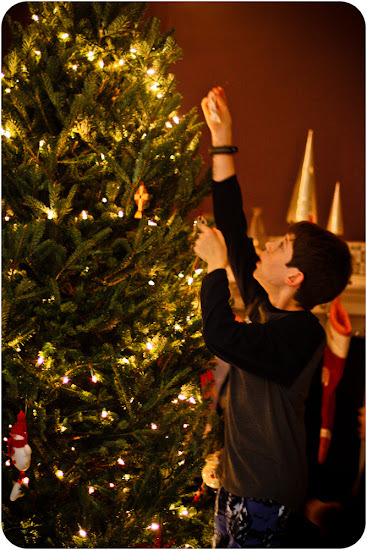 We took full advantage of the lovely weather and the weekend to decorate, celebrate the beginning of December, and remember a few traditions handed down through the years. We brought out our advent calendars and changed our nature table. 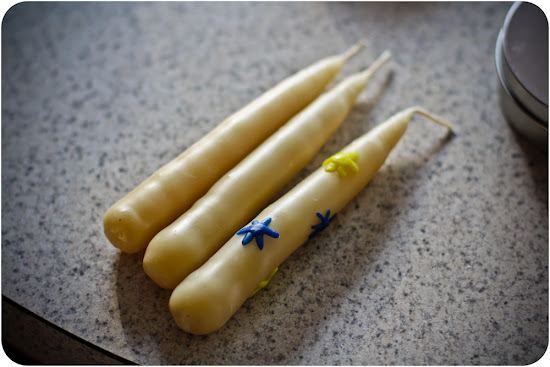 I also spent an hour or so this morning making candles for both solstice and the upcoming birthdays in our family. 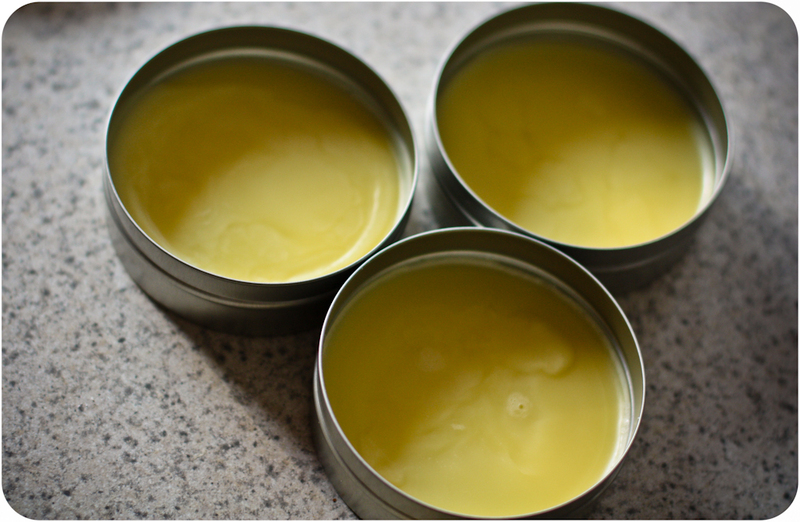 And while I was melting beeswax, I decided to try this eucalyptus chest rub recipe. 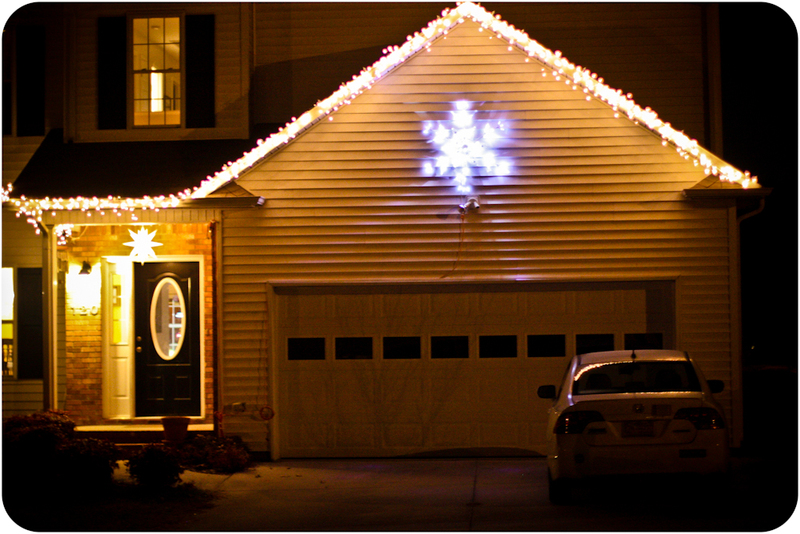 Paul enjoyed decorating during the milder weather this year. Well, enjoyed might be a bit strong. I don't think hanging lights is ever in his enjoyment list, but at least it was a lovely day to be climbing ladders. Paulie and I had an interesting conversation while he was outside helping Paul hang the lights this afternoon. He asked why we don't hang colored lights or use them on our tree. I said that I thought colored lights were gaudy. He wasn't sure what that meant so I had him look up the definition. He came back to me with a shocked look saying, "you think colored lights are 'ostentatiously or tastelessly ornamented?!'" 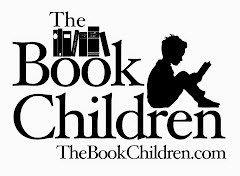 To which I replied, "Paul, there are many things from your childhood that you will hold onto with sentimentality, and many things that you choose to do differently. 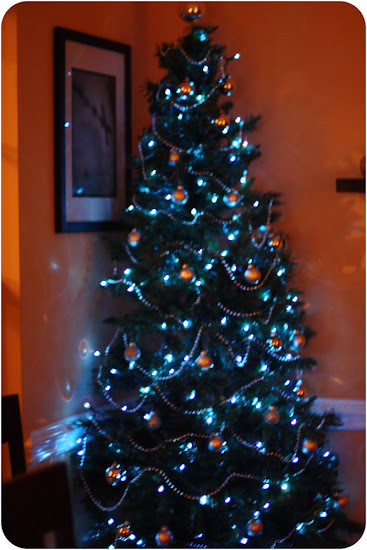 When I was a kid, we always had colored lights and silver tinsel, which I found a bit gaudy. 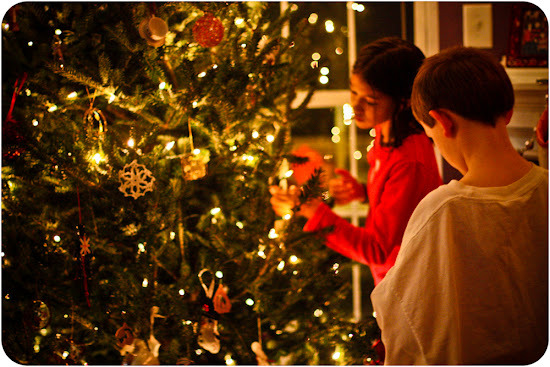 In fact, I decided that when I was an adult, I would have a tree in the front window with blue lights and silver balls, and another tree with white lights and special, sentimental ornaments in the living room." He looked at me, just as surprised and said, "whoa...that kind of scares me." I think the reason he said that is because I followed through on exactly what I wanted. 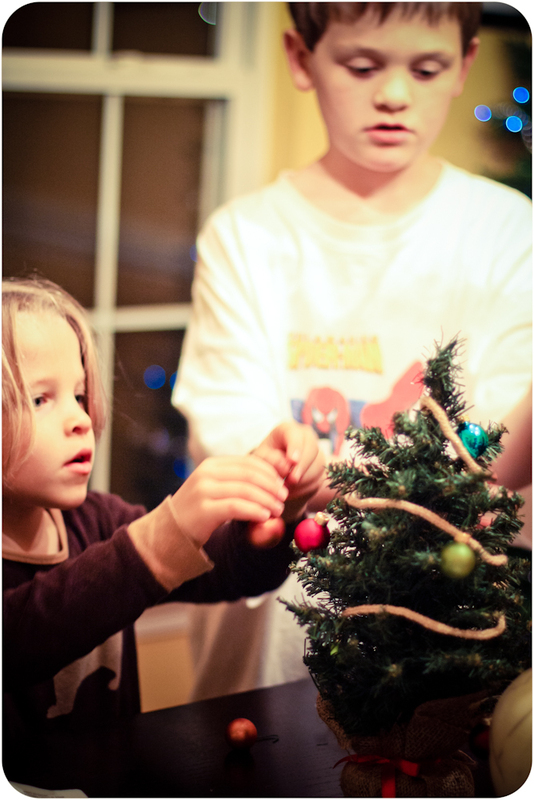 This evening, the kids decorated the little trees for their bedrooms. With new little glittery gold knitted garlands for their trees, that I just finished this week. 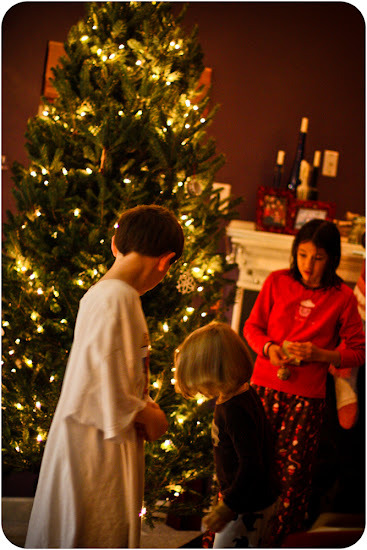 And then we decorated the big tree. 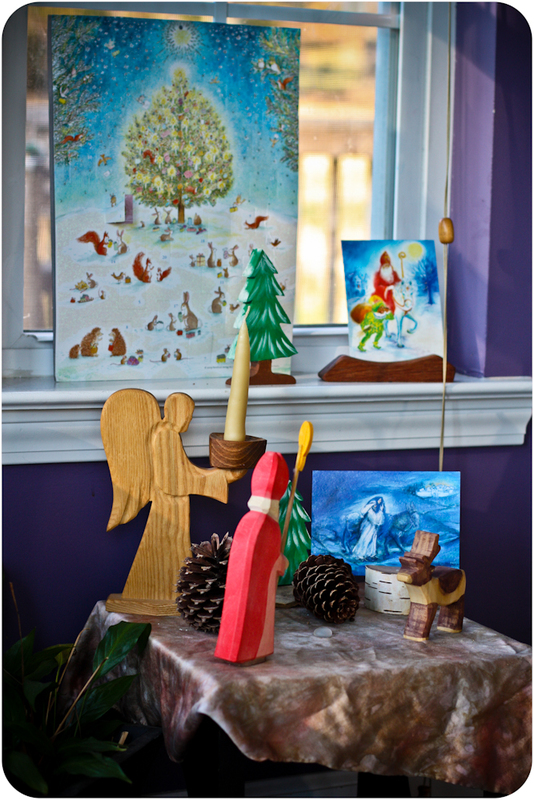 With all of our special, sentimental ornaments from seasons past. The kids were so thrilled to see their beloved ornaments and hang their own favorites. 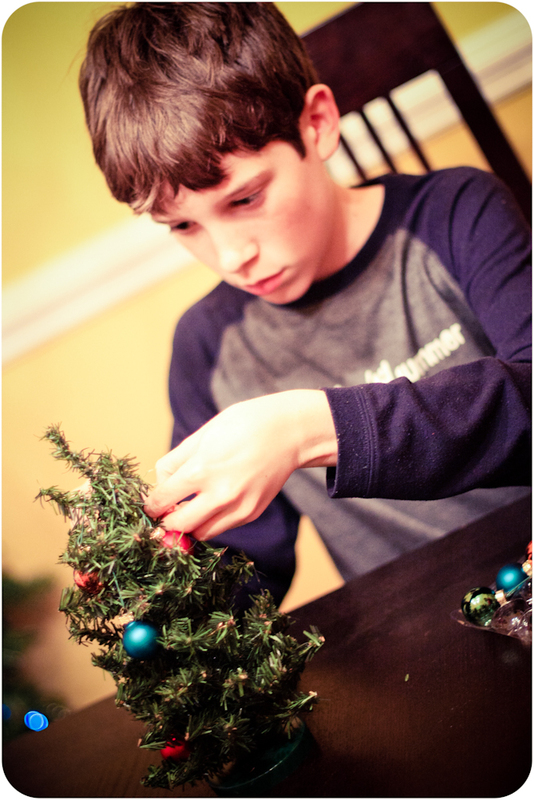 Each year we gift the kids with a new handmade ornament. 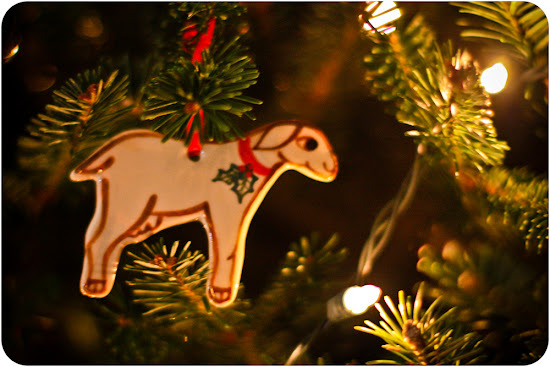 This year's ornament was a little ceramic goat ornament from our favorite little goat farm. It all looks so inviting. Thank you for sharing that chest rub recipe, too. We go through that stuff liek crazy and it would be nice to make it ourselves.